Are We Done with Landlines, Yet? We live in a modern age surrounded with a tech-savvy world and therefore, must abide by the changing trends around. But as we do change, we must spare a deeper look at the older tools to decide if they need to be really replaced or simply an addition of the new ones to the lot is just manageable. One such dilemma that concerns most households today is choosing between a cellphone and a landline. Let us compare to see if the former can, indeed, replace the latter? No matter how quick and efficient the technology has become, people tend to have different standards for Internet performance for home and elsewhere. While at a WiFi spot or on the road, people tend to be tolerant of jerky connection and low bandwidth because cell data technology is never that great. Yet, it’s a different story when people are at home as they expect their home networks to be great each time they use it. 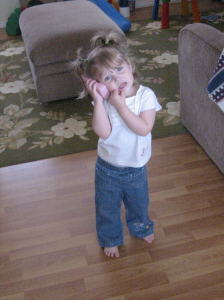 The quality of a conversation is a whole lot better on a landline than on a cell phone. In fact, cellphone calling and networks are less than perfect. You can talk to a friend just fine from your cellphone, but data transmission gets interrupted constantly. The calling plans for landlines are usually cheaper than what you can find for a cell phone. Particularly, if you are making international calls, landlines can turn out much cheaper. If you’re using a satellite TV provider, they often end up charging you higher for the same services if you do not have a homephone. So, forgoing the landline, in a way, costs you more than what you pay otherwise. A homephone does not require charging. When it rings, you always know where it is. You do not have to turn the place upside down to track down where you put it when you dropped the groceries on the counter, or went to the bathroom. There is a huge difference in how 911 calls are handled through a landline versus the cellphone. A landline call goes straight to the call center who immediately know where you are and soon, help is on its way within seconds. However, calling with a cell phone gets a cumbersome. As you have to waste time spelling out your complete address. If you are in a high-density area or apartment complex, they have no way to pinpoint your location with a cell phone. All of us feel the need to take some cost-cutting initiatives to curb our expenses, chucking what’s no longer in use or helpful. However, choosing the landline for it is not a wise move yet because it has some superb irreplaceable features that we cannot afford to function without. Missing Having a Clear Connection? It’s not unusual to come across people talking about how they no longer own a land line connection. In fact, many even wonder what it is like to have a land line telephone. Yet, there are those who still believe in the power of this old school but trustworthy device. Data companies in the US are consistently working to encourage customers to acknowledge the benefits of having a hard wired phone in addition to the cell phone. To convey this message and spread it across masses, the company is sending out mail pamphlets with the title “Miss having a clear connection?” The fact is that all of us have, at one point or the other, suffered through the problem of “poor signal strength” while working on cellphones. We know how it feels when an important call is dropped, mid-sentence, due to a poor cellphone signal. But home phones don’t dump you like that. They do not leave you in the lurch because they do not run on a wireless connection. The clarity is irreplaceable and connectivity is always unquestionable with landlines. 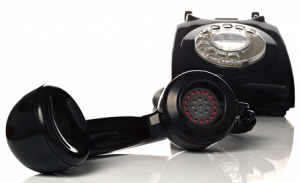 Land line telephones are an important aspect of our businesses too. 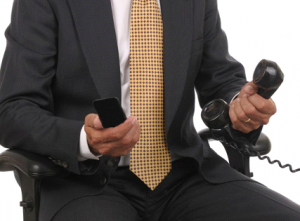 In recent times, the use of the telephone for business communication may have reduced a bit due to the advent of the computer as well as the internet. Yet, from the business infrastructure standpoint specifically, landline telephones still score higher when rated on communication satisfaction than cellphones. A major reason for this is that business set ups largely depend upon landline connections so as to establish user identification and have clearer communication that does not get interrupted by low signals, and they have a lasting reliability on a device that does not need charging. The teleconferencing feature in landline telephones is a function that has helped many businesses overcome the challenges of long distance business communication or conferences. It brings people together from all over the organization at a fraction of the cost of travel and meeting facilities. Conference calls, when used along with video conferencing, bring the essence of a personal meeting to the meeting as presentations are viewed, questions are asked via the Internet and answers are discussed among a number of people attending the call. The mobile phones of today with their smart features and high-end specifics can do most of the things a computer can. Yet, when we need them for their most important and basic purpose, making phone calls, especially in emergencies, the overhyped modern technology doesn’t always serve the purpose, particularly for a 911 caller. When people facing a situation call 911, the first question they are asked is, “Where is your emergency?” Whatever the problem, this stands out as the most important question during an emergency because the 911 folks need to know where to reach you in order to extend their help. However, cellphones don’t provide a strong vote in such times because their location can’t be tracked so precisely. Landline phones, on the other hand, offer a much more secure and stable answer to the “where” question as the device is linked to a specific address. Unfortunately, that has become a much harder question for first responders answering emergencies reported on cellphones the past 20 years primarily because the GPS on cellphones doesn’t work as well indoors as it does outside. In this regards, the Federal Communications Commission has proposed new regulations for wireless carriers to help address the problem but, so far, wireless providers are resisting the changes. A 911 call operator shared his experience when an 8-year-old called him on a cellphone because his parents had a medical emergency. The boy couldn’t read very well, and his parents didn’t speak English. So the call taker asked him to walk outside and read out the number of the boy’s house. It took about 10 minutes. Although the number was given out by the child somehow, situations may be worse where providing the address verbally is not possible. Such scenarios could turn disastrous. In this case too, if the call had come in on a landline, identifying the house would have been instantaneous — the location would have just popped up on the 911 operator’s computer screen. With nearly half the children in the U.S. are living in wireless-only households, situations like this are common. According to the National Emergency Number Association, around 210 million 911 calls come from cellphones every year. About half of the people calling on a cellphone from indoors don’t know where they are specifically. The statistics should wake people up to consider retaining landlines in their households. We must welcome the new technology but also recognize the benefits we might forgo when letting go of the past.